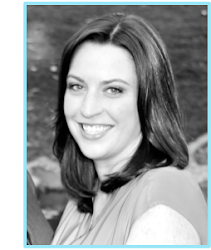 Jenn is a fabulous SLP from Indiana who works in outpatient pediatric rehab. 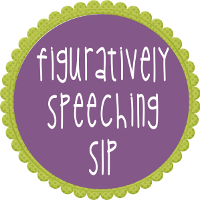 The road to becoming an SLP has taken her a few years. 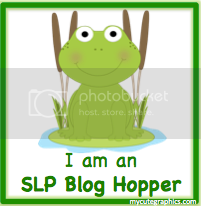 She is now happy to officially have those letters, CCC-SLP after her name! So exciting! The product that she has let me review for all of you involves Quantitative Concepts 0-10 and Making Comparisons. I can relate to this, especially when giving the CELF-4. 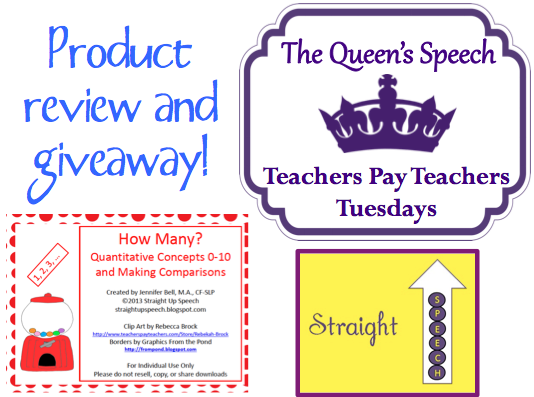 Many of my students need work in this area, so I am thrilled to review this product! 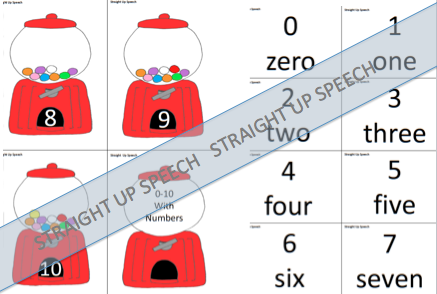 • Gumballs in Gumball Machines 0-10, both with and without numbers. • Numbers 0 through 10 (with numerals and words) This is great that she gives you the option for numbers or not and then has cards with both the number and the word spelled out. Great for developing math sense! Can I just tell everyone, these goldfish are SO CUTE. Anything involved sea creatures and I am there. Love it! • Comparison cards (more, most, few, many)- this is a great skill to practice with these cards! You can go over the counting skills, then you can compare using the cards which one has more, most, least, etc. 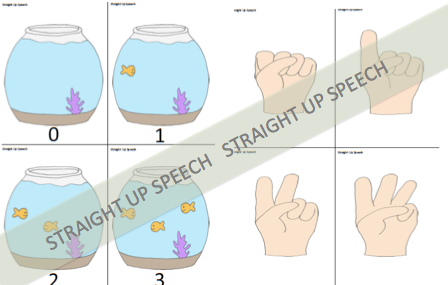 •Receptive Activity – Ask students to point to picture representing each quantity (Ex: Point to the fishbowl with 2 fish.) This is great for developing following directions skills! 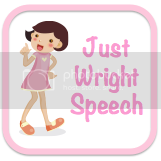 •Matching Activity – Match numbers/word cards to correct number of items in each picture. Love this idea, print out two sets and use the cards to develop more quantitative skills! Only $3.00 and it gets you tons of use! Includes all three decks of cards, number cards and so many options for practice. The graphics are adorable and the directions are clearly written! I am sure if you add this to your resources you will not be sorry! Love this and want to win it!? 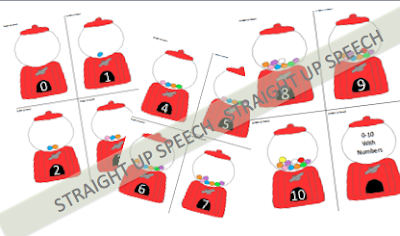 Straight Up Speech is giving two copies away! Hop over to her blog HERE and enter to win!